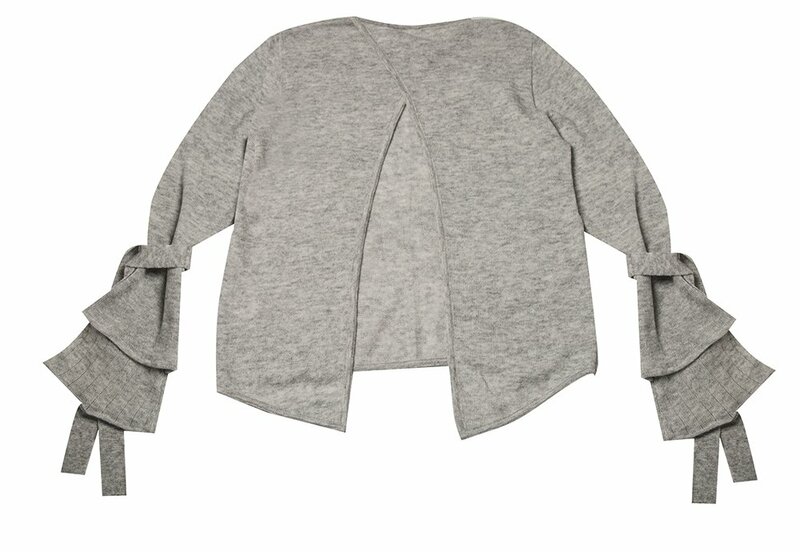 WARM, LIGHTWEIGHT ANGORA YARN, SOFT ON THE SKIN AND VERY COMFORTABLE, NON-ITCHY. A-LINE TYPOLOGY SWEATER. ROUND NECK, OPENING AT THE BACK. 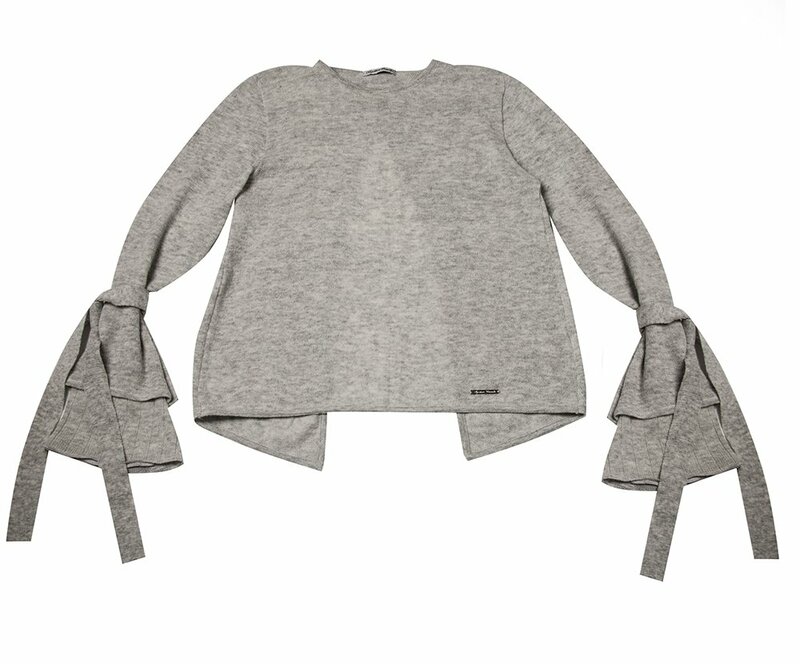 BELL SLEEVES WITH RIBBONS FOR A CHIC AND MODERN LOOK. GREY MELANGE (PHOTO), IVORY, SAND, FUCHSIA.